Anger is like a creepy monster that possesses you and takes away all your powers of logic and self-control. Creepy because in most cases you just have no idea that the spark has started and will soon erupt into the flames of full-scale rage. Some people, of course, are more susceptible to fury than others but even the most mild-tempered can turn into a ranting lunatic given the right amount of irritant. Stupidity, for instance, is one such lethal stimulant that can bring about violent results. You have asked an electrician to fix an electrical point that has caused excruciating aggravation by short-circuiting every appliance you have plugged in rendering them dead and useless. This includes your laptop, television and social-life-saving hairdryer. After waiting the whole day to get your life back while the electrician tinkers away, you try the said point and find that it is working perfectly. But when you try to switch on the lights you find the bulbs popping like firecrackers one by one like some dirty joke from a poltergeist. The fan too has decided to join the non-cooperation movement and the electrician who has considerately fixed the plug point while destroying the other electrical points, is on his way home to Manikganj, after extracting a hefty bill from you. Thankfully, you don't know that he is on his way to Manikganj because his mobile phone is off. At this point there is a short fuse in your head as you mentally beat the electrician into a pulp and fall on the bed in the hot, dark room, exhausted. In retrospect it is probably a good thing that the electrician has decided to take a home leave as at this point his physical wellbeing would have been at high risk if he hadn't. Anger management, experts will say, includes taking deep breaths, counting to twenty and then trying to focus on the solution rather than the cause of the problem (try telling that to a serial killer). As you very well know, therefore, managing anger is easier said than done. After the necessary arrangements to get the lights back on or if this is not immediately possible, getting the candles lit, you may console yourself that it is a temporary situation and that life must go on and you must see the brighter side of things – you can write that report that's due next day, you can watch the last few minutes of your favourite show, your hair can be seen in public. It's true though that these days everybody is losing their temper, or in fact just losing it. 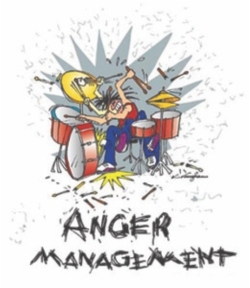 Aging, frustration, too much idle time, insomnia, the heat –there are a myriad of factors that conjure the Anger Demon. Even surgeons at the operating table lose their cool after a squabble over anaesthesia and attack each other. Oftentimes angst, especially if it is of the youth, is manifested through vandalising of vehicles especially private cars and buses, office furniture, glass windows of factories or shopping malls. Sometimes buses are set on fire and tires are burnt. Obviously when people get angry they want to break or burn things. Since destroying public or private property is hardly beneficial to national development psychologists have come up with the ‘punching bag solution’. Hitting something to smithereens is way better if is inanimate and not someone's head. The best part is that you can make your own punching bag and hit it as hard as you want. A piñata effigy of the person one hates the most – be it a politician, former girlfriend, present spouse, sadistic teacher or some obnoxious character at the office – kept in a secret room could greatly help take off the edge. If your own idiocy has angered you, you know who the papier-mâché handicraft should look like. And whenever you feel that tingle of the anger demon seeping into your peace of mind just rush to that room and take long, hard swings with a cricket bat to smash the piñata into a thousand pieces. Some people would have liked to push a few needles into the doll but that may be a little too spooky.